Whether the sun is beating down on a home or a rain storm is overhead, shingles will be used to protect a home from the elements. Countryside Roofing is an industry leader in shingle replacement and installation. Countryside Roofing specializes in all types of roofing installation, including complex commercial roofing projects. We understand the diversity of the commercial roof systems, and we are certified by the leading manufacturers of commercial roofing material. Complete this form to request a quote | A representative from Countryside Roofing will respond within 24 hours. Thank you for contacting Countryside Roofing, a representative will contact you shortly. 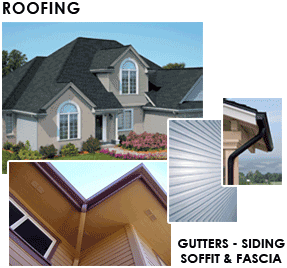 Countryside Roofing guarantees properly trained and experienced customer service and complete satisfaction, beginning with fair pricing, unlimited choices of roofing products, styles and colors . . . continuing through the final cleanup and your approval.